Andrei Cherny, Chairman of the Arizona Democratic Party, predicts a low turnout for the movie. I don’t how many of you have ever participated in competitive sports, but if you have, this will be familiar to you. There’s a true story which has been repeated many times in high school, college and professional athletics. It goes like this… In the run up to a big game, the coach or a player from one team talks trash about the opposing team. The coach of the opposing team clips the article containing the quote and puts it on his team’s bulletin board and makes sure that every one of his players takes the time to read it. This fires up each player and motivates his team to make an “above and beyond” effort, and they go on win the game. We believe the above quote by the AZ Democrat party chair is just one such motivator. As of this posting, there are just about 24 hours to go before the curtain goes up on “The Undefeated” in 10 cities. This is a critical time, not only for the Victory Film Group, but by extension for Gov. Palin as well. If the film does not have a big turnout for the premiere tomorrow, we will hear nothing else from the lamestream media and Palin-hating leftist websites for weeks on end. Let’s serve up a big, steaming platter of crow for that Democrat Party hack in Arizona and watch him try to digest his own spiteful rhetoric. In every way we can think of, let’s motivate every Palin supporter we know to buy tickets and show up to see this film tomorrow, because crunch time is now literally upon us. A list of the 10 theaters where “The Undefeated” will have its world premiere, plus links for purchasing tickets, is here. Have you bought your tickets yet? To say that Bowie County in northeast Texas is a Democratic Party bastion would be a gross understatement. The 923 square-mile jurisdiction, which has a population of almost 90,000, had never in its history elected a Republican to county office before 2010, when a determined 34-year old conservative defeated her Democrat opponent for the County Clerk’s job. Now, six months after taking office, she finds herself engaged in cultural combat with those liberals who are still clinging to power on the Texas side of the border with Arkansas. Natalie Nichols, a newly elected county clerk in Texas, is fighting back against a rogue court that actually voted to remove the Pledge of Allegiance and an opening prayer from the court’s official records. She refuses to do it, has made it her official stance and is now actually being threatened with legal action by a representative of the district attorney’s office. But Nichols is standing firm: She has stated that she would rather be removed from office than acquiesce to this. They removed the Pledge from the minutes also. Nichols commented: “Are we now afraid to be patriotic in America? Well, I am not. I will not sit down while people drag our country into a direction that makes me not even recognize it anymore.” Nichols is fighting this decision, against heavy odds. Judge Lacy remarked ominously: “What she hasn’t thought through are the unintended consequences” of her stand. Smith has more on Natalie Nichols, including the transcript of her “scathing address to the Texas Bowie Commissioner Court” here. Nichols is a district coordinator for Smart Girl Politics and is active in the Texarkana TEA Patriots and the faith-basedd Bowie County Patriots. She’s the founder of Texans 4 Sarah, a Sarah Palin support group. A detailed profile of Natalie Nichols is here (PDF). As bad as TV was, the interwebs was worse. I have never seen such a river of opportunistic vitriol. People on Twitter were disgusting. I followed the #Giffords hashtag for 30 minutes in hopes of getting the latest. What I saw instead was a rapid river of hate flowing faster than I could read it. But that was the interwebs, I consoled myself. But soon after the same hate made its way into TV and print commentary as well. Olberman, Krugman, et al. 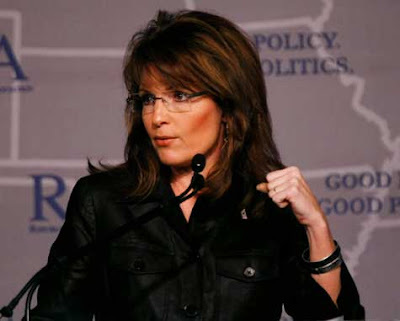 News agencies mention Sarah Palin in stories on Giffords a half dozen times for no reason. Unfathomable. Now some conservatives are falling into a trap by using scant information to try and paint the deranged loser gunman as a lefty. Don’t do it. Don’t be like them. He may be a lefty at the end of the day, but let the facts come out. At the end of the day, even if he is a Marxist, that really had nothing to do with it. I know some see it as a defense against the loony charges that he must be a tea-partier, but don’t do it. Don’t be like them. Integrity. It comes down to that. In the rush to be first to news, in the rush to have titillating commentary, in the rush to score political points, and in the resulting rush to defend, so many threw their integrity right out the window. We saw the worst aspects of human nature this weekend, and not just in Tuscon. If the disturbed individual had any politics at all, his politics are not like yours, mine or even 95 percent of the American population. His politics are clouded by insanity, which makes whatever politics he has something else entirely. As near as we can tell, he is some sort of deranged anarchist, and anarchy is of neither the political left nor the political right. Conservatives tend to see government as an institution which is necessary, but all too susceptible to being corrupted into a tool which can be used to suppress liberty. Progressives see government as the answer to most of society’s problems, as long as it is done “their way.” Anarchy, literally translated from its Greek roots, means the absence of government, which brings to mind another word we have taken from the Greeks, chaos. And with chaos, we enter into the realm of the deranged, for to sane people, insanity means a chaotic way of thinking. As more and more information about the shooter comes to light, all of the signs we are seeing indicate that he is anything but a sane individual. Insanity not only trumps, but actually warps, politics into something which is compatible with such an individual’s chaotic, distorted view of the world. Patrick’s warning not to be like the leftists who have tried to paint the shooter as some mythical creature of the right is, in our opinion, good advice. As Sarah Palin supporters, we need to combat the reprehensible tactics being employed by the left, but we must not fall into their trap by allowing ourselves to become their mirror images. It is sufficient to contradict their lies with the truth. Clear thinking people of good character will see through their wall of lies and distortions when presented with the facts. But in our quest to get the facts out there, we should not do any distorting of our own. There’s no clear evidence that the killer has any real association with leftist groups or subscribes to leftist ideology. One of his former high school classmates has said that he was a leftist, but that was an opinion formed in the mind of a teenager, which is hardly compelling hearsay evidence. On the Pima County voter registration rolls, he is list as neither Republican nor Democrat, but rather independent. Simply calling the murderer a leftist does not help Gov. Palin. It only reduces our arguments to the same level as those being made against her, which will not convince anyone who is trying to sort it all out. Defend Gov. 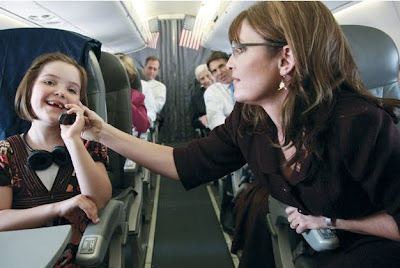 Palin, and do so vigorously. Combat lies with facts. Let the leftists convict themselves in the court of public opinion. But don’t be like them. But while you’re banging away at the wildlife population and then popping their remains in a pot for dinner, you’ve bequeathed us Bristol, little miss Dancing with the Stars and now the proud owner of some choice Arizona real estate, to carry on the family tradition of driving us nuts. Listen to me: It’s just not right that you Palins are using the trash culture we’ve so lovingly created against us — that was meant to inflict Britney Spears on your wingnut families, not to blast us with Bristol. Teenaged unwed mother? Check. Tabloid fodder? Check. Famous for being famous? Check. Normally, we would endorse all those things, just as, in a rational world, we would embrace Mama Grizzly for her “compelling personal narrative,” as the Finemans of the media like to call it. But, of course, we don’t. Because we can’t. Because to do so would mean the end of our carefully maintained double standard — and the minute you folks on the right no longer accept your second-class status in the moral pecking order, we are finished. “If you think this movement is more circus sideshow than actual threat, you’d be mistaken. Republican candidates are falling all over each other to get [Sarah] Palin’s endorsement, and the tea party movement is responding. Money is pouring in. Because she is not currently holding or running for elected office (while having not ruled out the possibility), Gov. Palin is free to speak her mind and help conservatives get elected across the country. 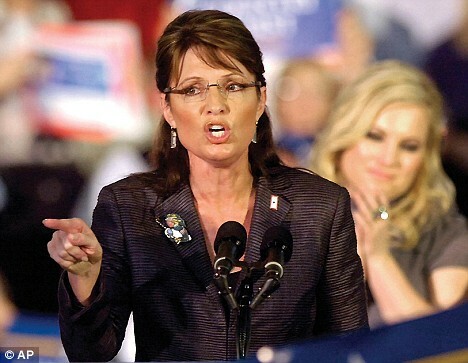 From now and into 2010 is the perfect time to leverage Palin’s rising popularity and influence. 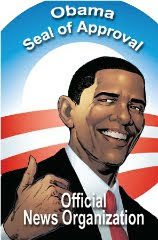 Help “doom President Obama’s agenda.” Donate to SarahPAC.